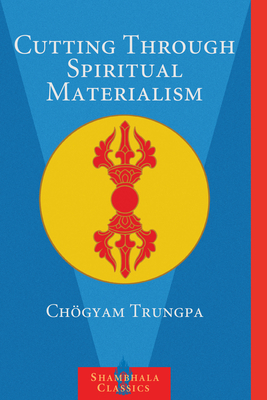 In this modern spiritual classic, the Tibetan meditation master Chögyam Trungpa highlights the commonest pitfall to which every aspirant on the spiritual path falls prey: what he calls spiritual materialism. The universal tendency, he shows, is to see spirituality as a process of self-improvement—the impulse to develop and refine the ego when the ego is, by nature, essentially empty. "The problem is that ego can convert anything to its own use," he said, "even spirituality." His incisive, compassionate teachings serve to wake us up from this trick we all play on ourselves, and to offer us a far brighter reality: the true and joyous liberation that inevitably involves letting go of the self rather than working to improve it. It is a message that has resonated with students for nearly thirty years, and remains fresh as ever today. Chögyam Trungpa (1940–1987)—meditation master, teacher, and artist—founded Naropa University in Boulder, Colorado, the first Buddhist-inspired university in North America; the Shambhala Training program; and an international association of meditation centers known as Shambhala International. He is the author of numerous books including Shambhala: The Sacred Path of the Warrior, Cutting Through Spiritual Materialism, and The Myth of Freedom.